Most of the carbon resulting from wildfires and fossil fuel combustion is rapidly released into the atmosphere as carbon dioxide. Researchers at the University of Zurich have now shown that the leftover residue, so-called black carbon, can age for millennia on land and in rivers en route to the ocean, and thus constitutes a major long-term reservoir of organic carbon. 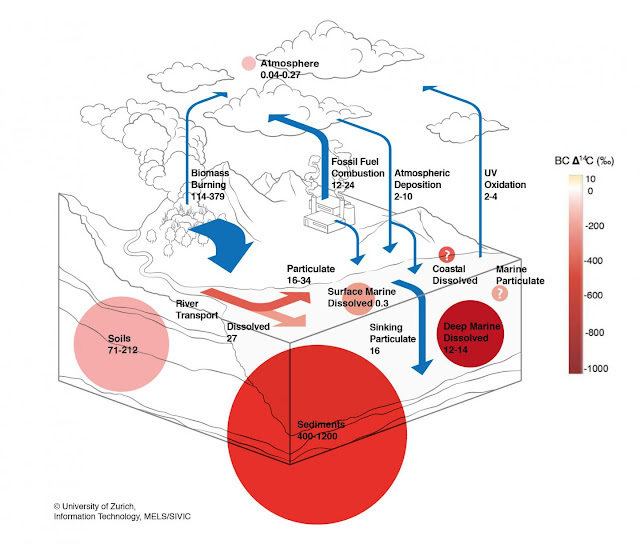 The study adds a major missing piece to the puzzle of understanding the global carbon cycle. Due to its widespread occurrence and tendency to linger in the environment, black carbon may be one of the keys in predicting and mitigating global climate change. In wildfires, typically one third of the burned organic carbon is retained as black carbon residues rather than emitted as greenhouse gases. Initially, black carbon remains stored in the soil and in lakes, and is then eroded from river banks and transported to the ocean. However, black carbon is not taken into account in global carbon budget warming simulations, because its role in the global carbon cycle is not well understood as a result of a lack of knowledge about fluxes, stocks, and residence times in the environment. "Our study is the first to address the flux of black carbon in sediments by rivers on a global scale. 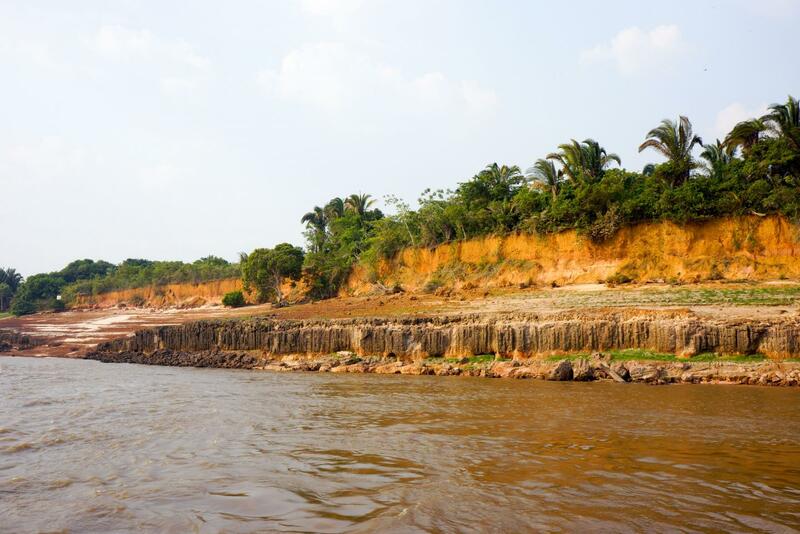 We found that a surprisingly large amount of black carbon is exported by rivers," says lead author Alysha Coppola, a postdoctoral researcher in the Department of Geography at the University of Zurich (UZH). The study includes some of the largest rivers worldwide, such as the Amazon, Congo, Brahmaputra, and major Arctic rivers. It is the first global river assessment of the radiocarbon age values and amount of black carbon transported as particles. The researchers found that the more total river sediment is transported by rivers to the coast, the more black carbon travels with it and is ultimately buried in ocean sediments, forming an important long-term sink for atmospheric carbon dioxide. To gain an overview of the processes occurring in the world's rivers, the UZH researchers teamed up with colleagues from ETH Zurich, and the US-based Global Rivers Observatory at the Woods Hole Oceanographic Institution and the Woods Hole Research Center. They discovered that the black carbon pathway from land to ocean is mainly shaped by erosion in river drainage basins. Surprisingly, they found that some black carbon can be stored for thousands of years before being exported to the ocean via rivers. This insight is new, since it was previously always assumed that after a fire, the remaining black carbon was quickly eroded by wind and water. However, the authors found that black carbon does not always originate from recent wildfires, but could be up to 17,000 years old, particularly in the Arctic. "This explains the mystery as to why black carbon is continuously present in river waters, regardless of wildfire history. We found that black carbon can age in intermediate reservoirs that act as holding pools before being exported to the ocean," says Alysha Coppola.